Brad Graves became our Senior Pastor on June 1, 2016. Prior to that Brad had pastored, planted, and served in churches across the country including Arkansas, Virginia, New Hampshire, Ohio, California, and Missouri. He also served a number of years at Cross Church, located in Northwest Arkansas, which is pastored by Dr. Ronnie Floyd. 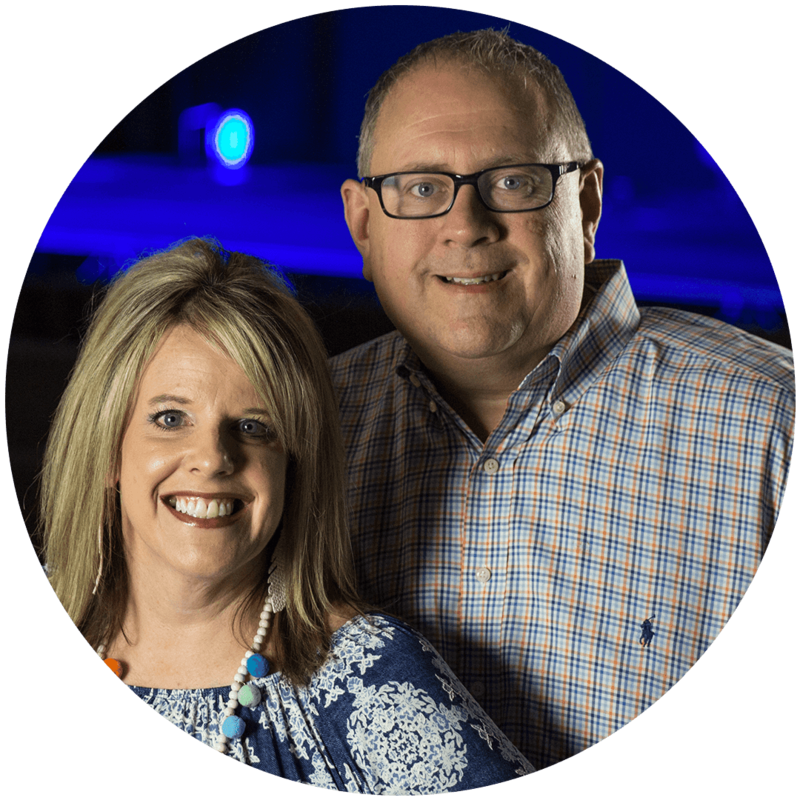 Having a heart for church planting, Brad and Becky formerly served as missionaries with the North American Mission Board (NAMB). Together, they have served on many international mission trips, and Brad has taught various courses on church planting, evangelism, and church revitalization. Brad received his education at the University of Arkansas and Southeastern Baptist Theological Seminary. Known as a creative and engaging speaker with a heart for evangelism, Brad and his family are leading our church in exciting new ways. Brad was born in June of 1973 in Springdale, Arkansas. He became a Christian on April 1, 1992 and surrendered to full-time ministry in February 1993. He married Becky Mackenzie on December 21,1996, who is originally from Raleigh, North Carolina. They have four children: Nate and Noah (19 years), Levi (9 years), and Gracie (born December 2015). They also have a daughter, Isabella Hope, who was born into Heaven in August of 2007. You can follow Brad on Facebook, Twitter, and Instagram to connect.